I've always loved tiramisu - so I don't know why it's taken me so long to share a vegan version. This one is really simple. You can make it in a dish for four or in individual ramekins. Gluten-free, dairy-free & vegan. Serves 4. 1. Mix together all of the ingredients for the base. 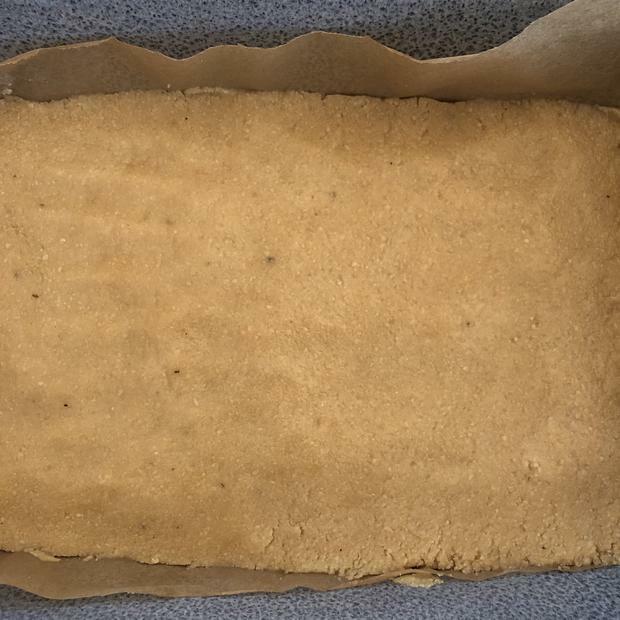 Line a medium baking tin with parchment paper and press the mixture firmly into the tin so that it's about 2cm thick. Don't worry if it doesn't fill the tin, just shape the edges. Bake at 180°C for about 15-20 minutes until golden all over, then set aside to cool. 2. 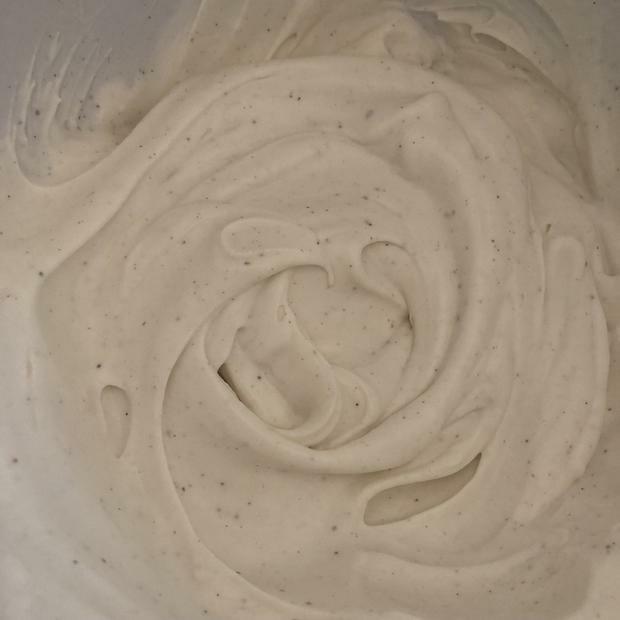 When the base is cool, whisk together the coyo, maple syrup and vanilla powder in a large bowl with an electric mixer. Keep going until it's really whipped and airy. 3. 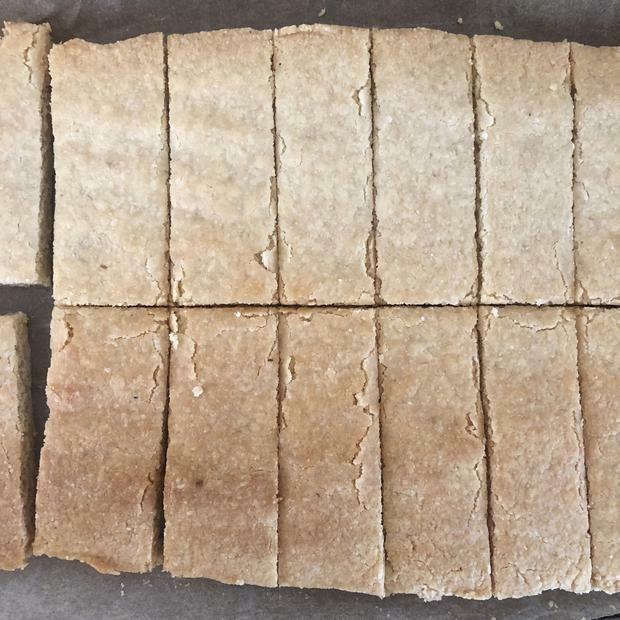 Cut the cooled base into biscuits. Dip each biscuit into the coffee, letting them soak for about 20 seconds - you want them to soften and absorb the coffee. Then place them into the bottom of your dish. 4. Add a dollop of the whipped coyo mixture into each and spread it out evenly, then repeat with another layer of each. 5. Sprinkle the top with cacao powder using a sieve, then pop in the fridge for about 2 hours before serving. This recipe is ideal for dinner parties because you can have it ready and waiting in the fridge while you eat. It works great either way but with people over, I make it in individual ramekins so I don't even have to slice it. Since visiting Hawaii over Christmas, my love for coffee has really intensified. The local coffee is so good, I stuffed half my suitcase with it coming home and, last weekend, I savoured the last cup before running out. My great-grandparents worked on coffee plantations there and I visited my great-grandmother for years until she died a few years ago at 102. I'm hoping I got lots of those genes! It was weird being back there without her but we made sure to centre the whole trip around eating in her honour - she was the most amazing cook. If you ever find yourself in Honolulu, my favourite spot is The Pig & The Lady (thepigandlady.com). They serve incredible pho and have an amazing menu if you have vegans in your group. Vanilla powder is one of my favourite ingredients ever but it's frustratingly hard to find (I buy it on Amazon). One small bag will last you a year, even if you use it a lot, so it's worth the effort of sourcing and ordering online. If you can't find it, however, don't stress - any time a recipe calls for it, you can use a vanilla pod instead. For ¼ tsp of vanilla powder, you need about 1 vanilla pod. Just slice it down the side carefully with a knife and scrape out the seeds. The pods are much easier to find - they're in the spice or baking section of most big supermarkets and, just like the powder, a little makes a big impact.